GSD Law Group LLP is one of the most trusted and respected law firms in North East and North West Calgary, Alberta. We are currently offering a comprehensive range of legal services to our clients. Since the creation of the firm, our lawyers have built a very solid reputation for excellence in their services. Our size and experience gives us the flexibility to provide a wide range of services in different areas of our practice. Our primary areas of practice include Real Estate, Family Law, Civil Litigation, Criminal Defence, Corporate Law, Immigration Law and Wills & Estates. Lawyers throughout the Calgary region have shown a great deal of confidence in our legal abilities by referring clients to us with unique and complicated issues. In fact, the majority of our clients are referred to us by many other lawyers in this area. We respect and honour the trust of our colleagues by providing our clients with exemplary legal services. Our reputation of trust, talent and professionalism was started by our colleague Madan M Gakhar in 2013 and continues to grow over time with the efforts of several lawyers in our firm. At GSD Law Group, we take pride in keeping our clients updated and informed about all their matters and helping them solve their issues in a variety of ways through mediation, negotiation, settlement, arbitration and litigation. 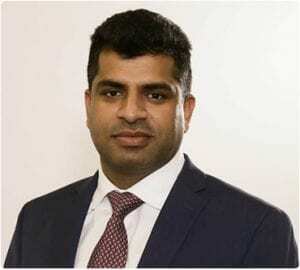 Madan practices in criminal law, family law, civil litigation and personal injury. He has appeared in all levels of court in Alberta, including youth court and he’s defended charges including impaired driving, assault, assault with weapon and uttering threats. In addition, Madan has appeared in both Provincial and Court of Queen’s bench of Alberta for different family and divorce proceedings. Prior to founding GSD Law Group, Mr. Gakhar articled with Mount Royal Law Office where he gained experience in different areas of law. His hard work and dedication to the work made him a partner with the same office forming Ford Gakhar law office. Madan is a member of the Law Society of Alberta and currently volunteers with Calgary Legal Guidance and Centre for Newcomers on a weekly basis to provide assistance in legal clinics. Mr. Gakhar likes to spend his weekends with family and gets involved in different activities with his kids. 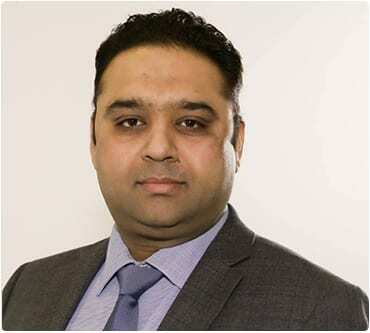 Bhasker Sharma practices in Real Estate Law, Corporate Law and Wills and Estates. His experience includes assisting clients with matters relating to sale, purchase, refinance and transfer of the real estate and commercial property. Mr. Sharma also specializes in commercial real estate. Prior to joining GSD Law Group, Bhasker articled with Mount Royal Law Office where he gained experience in Real Estate and Family Law. Mr. Sharma is a member of the Law Society of Alberta. His experience includes assisting clients with matters relating to immigration appeals, refugee appeals, spousal sponsorship applications and appeals. 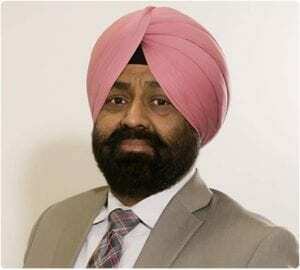 Mr. Dhaliwal also specializes in applications for Parent/Family sponsorship, Super Visa/Visitor Visa, Work Permit, LMIA, Express Entry, Alberta Provincial Nominee. Bhupinder has been providing immigration services for the past 10 years and is well aware of the changing and emerging laws in the context of immigration. Mr. Dhaliwal joined GSD Law Group LLP in June 2014 and is a member of the Law Society of Alberta. He also volunteers with Calgary Legal Guidance. Sadaf Raja’s practices in criminal law, civil litigation, family law, immigration law, and personal injury. Her experience includes assisting clients with matters and proceedings before the Provincial Court of Alberta, Court of Queen’s Bench of Alberta, Immigration and Refugee Board and Immigration Appeals Division. Prior to joining GSD Law Group, Ms. Raja articled with a national law firm where she appeared in court on a daily basis. She made numerous successful applications before the Court of Queen’s Bench of Alberta, Federal Court of Canada and the Immigration Appeals Division. 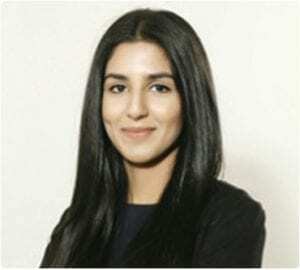 While in law school, Sadaf interned as a judicial assistant with Specific Claims Tribunal of Canada. She was selected to complete an internship with European Academy of Bolzano in Italy. Following her graduation from law school, Ms. Raja was selected to intern with the United Nations in Thailand. In addition to her international work, she has worked as a law student with Alberta Civil Liberties Research Center at the University of Calgary, Reach Canada in Ottawa, Pro Bono Students Canada and John Howard Society of Canada. Ms. Raja currently volunteers with Calgary Legal Guidance to provide assistance in legal aid clinics. On her time off, Sadaf is an avid hiker and a professional photographer and can be found somewhere in the Rocky Mountains. Does the Charter Impose a Duration Requirement for Detention for an Immigration Purpose? What is Parentification or Parental Alienation? Preet Sandhu primarily practices in and assists clients in areas of family and matrimonial law. Ms. Sandhu has appeared before the Provincial Court of Alberta and the Court of Queen’s Bench of Alberta. Ms. Sandhu joined GSD Law Group LLP as a student in 2016 before beginning her articles with the firm in February 2017. Ms. Sandhu obtained her J.D. with second-class honors from Bond University in 2016. Prior to attending law school, Ms. Sandhu completed her Bachelor of Commerce degree in Accounting from the University of Calgary. During her law school breaks, she volunteered with Pro Bono Law Alberta’s Civil Claims Duty Counsel program and the Queen’s Bench Amicus project in Calgary, Alberta. Through these programs, Ms. Sandhu assisted self-represented individuals navigate through the civil claims process in both the Provincial Court of Alberta and the Court of Queen’s Bench of Alberta. Ms. Sandhu was born and raised in Calgary, Alberta. Ms. Sandhu is an active volunteer with 1000 Voices and Calgary Legal Guidance. Ms. Sandhu is also on the roster of lawyers at Legal Aid Alberta. Outside of the office, Ms. Sandhu enjoys spending time with her family and friends. She also began an Indian henna art business with her sister in 2017. Nkechi Asekomhe Practices in general Civil Litigation and maintains a solicitor’s practice as well. 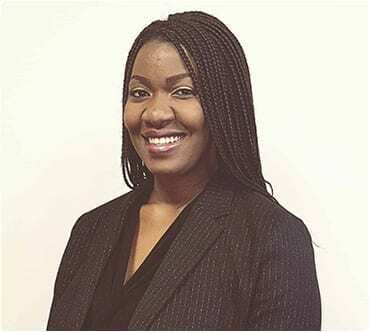 Prior to joining GSD Law Group, Nkechi practiced as an Associate Lawyer in Lagos, Nigeria and an Employment Law and Human Resources Consultant in Manchester, England. After obtaining her NCA qualifications in Calgary, Nkechi Articled with a broad-service litigation firm in downtown Calgary with a primary focus on Civil Litigation and Class Action Lawsuits. Nkechi has appeared before the Alberta Court of Queen’s Bench, the Alberta Provincial Court and a number of tribunals. She currently volunteers as Duty Counsel at Pro-Bono Law Alberta and the Calgary Legal Guidance. Harinder Kaur is a Legal Assistant in the area of Real Estate and brings more than 6 years of experience. 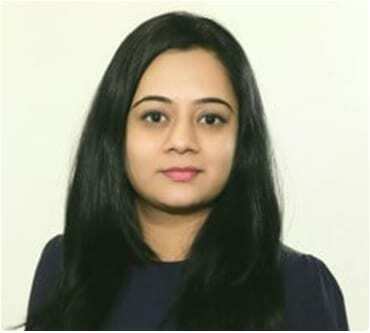 Besides handling all administrative work Ms. Kaur has experience in all aspects of the residential real estate including working on purchase, sale, refinance and title transfer files independently. She works hard to ensure all the deadlines are met while still providing outstanding professional service to all our clients, realtors and lenders. 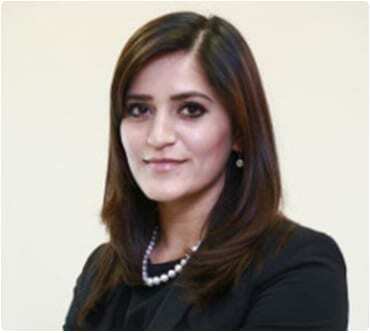 Harinder joined GSD Law Group LLP as a Legal Assistant in May of 2015. Outside her legal work Ms. Kaur enjoys watching movies, travelling and spending time with her family and friends. 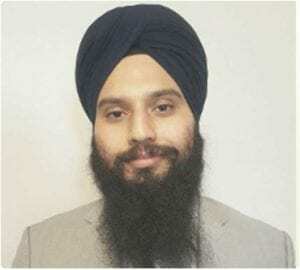 Gurteg Singh Gill’s life for the past 8 years has been dedicated to pursuing a career as a lawyer. He attended law school at the University of Birmingham and got his LLB in Law in June of 2016. In 2017 he received His Qualification Certificate from the National Committee on Accreditation from the Federal Law Society of Canada. Although his career is starting off, he has managed to gather a lot of work related experience. During his time off school he worked at 3 separate law firms gaining experience towards not only how the law should be applied to situations but also how a professional in the legal field should conduct themselves. He is enthusiastic to learn and highly motivated to work. He has experience in the fields of Family, Real-estate, Wills and Estates and Criminal. Gelek completed his LLM degree in International Commercial and Business Law from the University of Bangor, UK, with Merit. 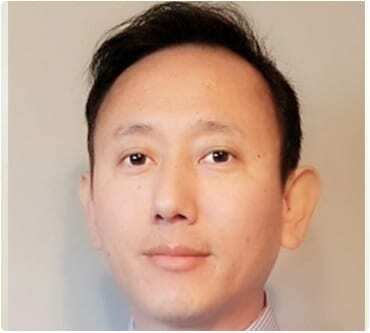 He has been the recipient of Dalai Lama Trust Graduate Scholarship, New York, USA, for his LLM degree and the Department of Education’s Merit Scholarship for his LLB degree. His previous experience involves working as Legal Executive and Legal Associate for two different Legal Process Outsourcing companies based in India that caters to the American clients such as American attorneys, law firms, other business organizations and entities. Gelek was a licensed lawyer in India before he moved to Canada in 2015. 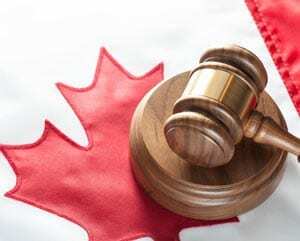 He is currently preparing for his NCA (National Committee on Accreditation) Examination, a mandatory requirement for every foreign lawyer to successfully get enrolled here in Canada as a lawyer. “Thank you so much for your assistance with my mortgage files. I appreciate your timely and professional instruction and advice, and I know you have gone the extra mile regarding some of my clients. Linda R., Centum Mortgage Lynx Ltd.
“This note is to thank you for your excellent service to all my clients that I have referred to you. Your timely advice, responsiveness and calmness helped make this experience all the more pleasant. Your fees are very reasonable and fully explained in advance. Reza Pasand, Senior Mortgage Associate, TMG The Mortgage Group Alberta Ltd.
“I feel obliged to share my wonderful experience with GSD Law Group through it’s key representative Madan M Gakhar. Though my interaction with the group has happened this year for unfolding Corporate Law to shift head office with in Canadian provinces & drawing commercial loan from ATB. Paramjeet Sandhu, Director, A-Unique Builders Inc.